We love having a wreath on our door all year round, changing it up with the seasons. 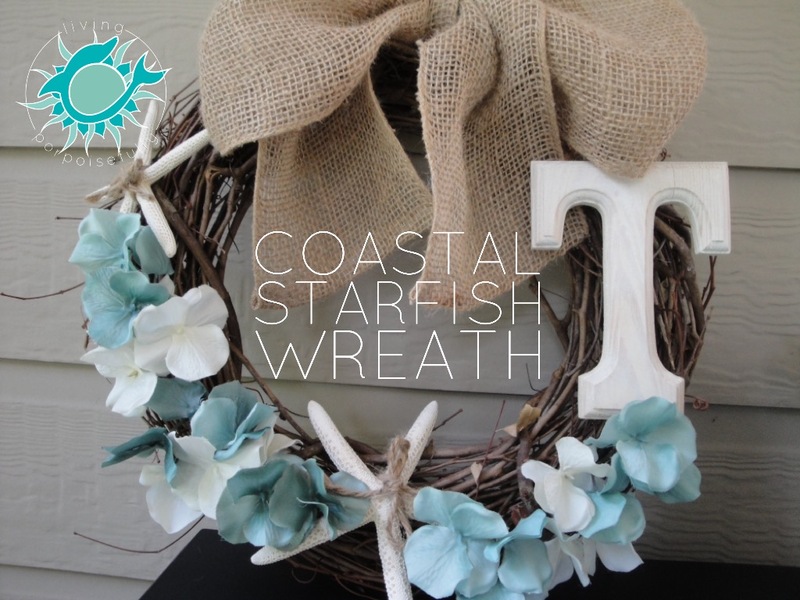 Here’s a coastal wreath that will get you feeling relaxed and like you’re coming home to the beach! Step 1: If you like your letter as-is, skip this step! If you are white washing your wooden letter, paint its surface with white wash acrylic paint (or watered down white acrylic paint) and a paintbrush. If needed, wet your paint brush as you go to thin the paint to your liking. Let dry for a few minutes. Step 4: Attach all of the above to your wreath using twine or hot glue.